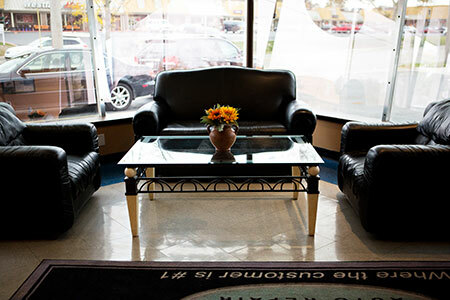 We have proudly served the Overland Park community's auto repair needs since 2005. Want to be a part of this stellar team? 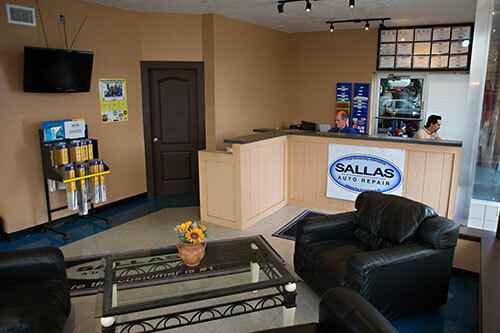 Learn more about employment with Sallas Auto. John Blauw holds down the fort at our Overland Park Repair Shop - lovingly known as Sallas Auto 2. John’s one of the best managers we’ve ever seen, and his team and customers love him. A Kansas City native, John has gained all of his experience while working in the industry. He’s worked with cars for 32 years. He’s worked under the hood. He’s managed people. He’s got AMI and ASA training certificates. He’s got mad people skills. And he’s a rock star when it comes to running a repair shop. John’s love for building relationships with our customers is evident through our customer loyalty and referral rate. He is honest and doesn’t ever sell anything to a customer that they don’t need. That is why we love him. In addition to loving his management job, he also enjoys family time, outdoorsman activities and working around the house. Nick Sallas had a dream, but instead of building a baseball field in green pastures, he set out to open an auto repair shop that provided excellent work and superior service. 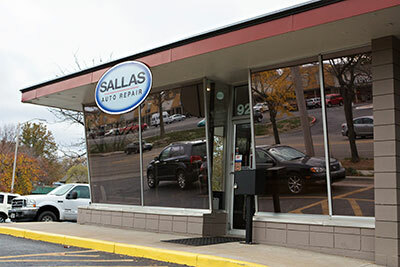 Native to Kansas City, he started Sallas Auto in 1993 and has grown the business into a successful two-location repair shop over the past 30 years. Nick’s always been a “car guy.” His training with GM, Goodyear, Honda, Ford, Chrysler, as well as his ASE Master Technician certification makes him one of the smartest guys in the business. Plus, he’s a great boss, too. Nick’s commitment to treat each staff member like family has led him to have one of the most committed teams of mechanics, many who’ve been with the company over 20 years. His family-like atmosphere transfers to his customers with his personal promise to treat each customer like family through respect and honesty. As a family man, Nick also loves spending time with his wife Carla, watching his kids play soccer and vacationing. No auto repair shop is complete without a leading lady, and for Sallas Auto that gal is Carla Sallas. Carla works alongside her husband, Nick Sallas, who got her interested in the automotive business as a head-over-heels in-love 21-year-old. Carla joined the team in 1999 to bring her corporate experience to the Sallas team and oversee the customer service, human resources and marketing plan. (She's the brains behind our wonderful coupons!) She’s passionate about carrying out the Sallas mission and vision of doing things “right” in the customer’s eyes. She’s thankful for the personal relationship her family has developed with many customers in order to provide them an excellent educational experience (and not a sales pitch.) When she’s not getting to know customers and making sure the team is going above and beyond expectations, Carla’s involved in raising her two girls in a solid Christian foundation and spending time in the mountains and on sunny family vacations at the beach.